Tubelight official trailer released on May 25, 2017. The movie is made by Salman Khan Films and directed by Kabir Khan. Check out what happened in the trailer in the article below. Trailer of Tubelight films starts featuring Salman Khan aka Laxman in a happy mood singing and roaming around the city with locals. He appears to be in love with his cycle. From his role, it appears he is enough strong and do not feel small wounds and pain so easily. Check: Sachin: A Billion Dreams Movie Review. The trailer starts penning up the story and emotional bond with his brother Sohail Khan. Sohail is playing the role of Bharat who is back home to spend some time with his family. Bharat eventually called by the Indian Army’s Kumaon regiment because of a surprise attack by the China on the border. The tensions on the border started increasing because of while commander of Army could be seen giving a speech to locals to stand with the Indian army in this difficult time. Laxman is feared of many things and probably a loser from his character sketch. He appears to be a child with special needs whose mind is not yet fully developed. When every hope of finding Bharat back started turning down, Laxman who is a coward; decided to go on a mission of finding his brother. He can be spotted making his way through the valleys in mountains. The film is all about Laxman and his journey of fighting the odds in an even manner. 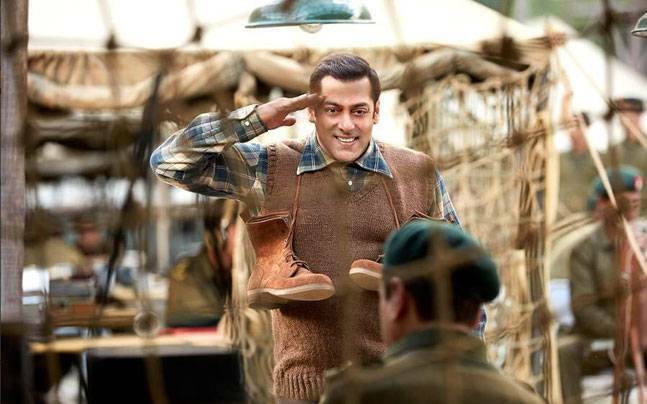 The energetic and relishing film could be observed as a path of enjoyment from Tubelight Trailer. Most of the storyline part could be observed adopted from Salman Khan’s blockbuster Bajrangi Bhaijaan. He could be seen going cross-border to save his brother this time. The film is expected to open some red tapped areas in its storyline. Salman Khan films have a great impact on Indian audience and it would be interesting to see whether he comes up with a period touching Kashmir unrest in India. Coming to the similarities from Bajrangi Bhaijaan, Tubelight Theatrical Trailer also features Salman Khan in a very innocent boy’s role. This time he appears to be facing a serious mental defect. The picture in the article itself speaks a thousand words. Kabir got the idea of making Tubelight after he watched the fantasy drama Little Boy, which has World War 2 as its backdrop. This period drama also stars Chinese actress Zhu Zhu, child artist Matin Ray Tangu and late actor Om Puri in key roles. Tubelight will hit the theaters on June 25, 2017, i.e, Eid Al-Fitr. Do watch the official trailer of the movie above.